Road Runner Girl: Spring Fever Chase! Let me just say that I had an awesome time today!!! 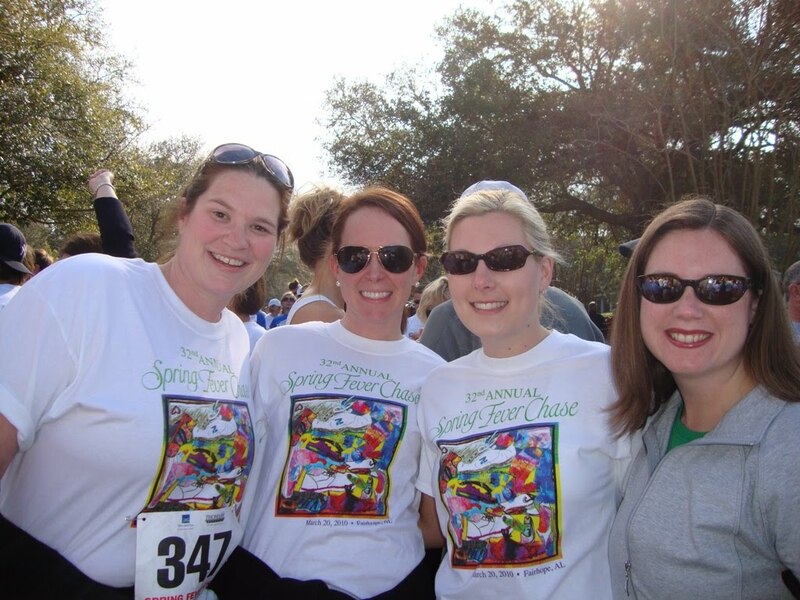 The Spring Fever Chase was sooo much fun! I went into it knowing that I was just going to be walking...even though my heart wanted to run. I went with my two best friends, Brittyne and Holly. We met another good friend, Caroline there. We had a blast even though we only walked. And I actually ran a couple of times (one of those times was through the finish line lol)...only for a few seconds but that's ok! And I only felt it a little in my knees so I am hoping that means I am on the road to recovery!!! We finished with a time of 32:24. So an average of 15 minutes per mile which isn't too bad for walking. I was proud of myself anyway! 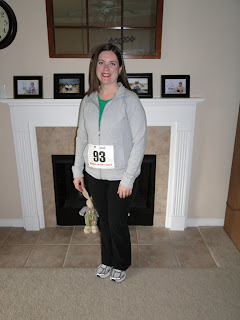 And next year....I am aiming to run the 10K!!! 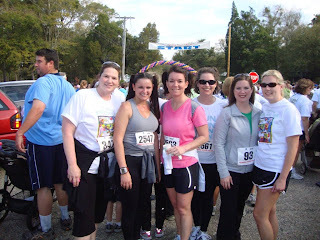 Before the race: Holly, Katrina, Christina, Laura, Me, and Brittyne! Katrina, Christina, and Laura had just finished running the 10K! Waiting to start! Holly, Caroline, Brittyne, and Me!